Tarantella Napoletana is a popular dance music. It was born in Naples in the early '700 where even today, at the end of the small parties, there is always the tarantella. 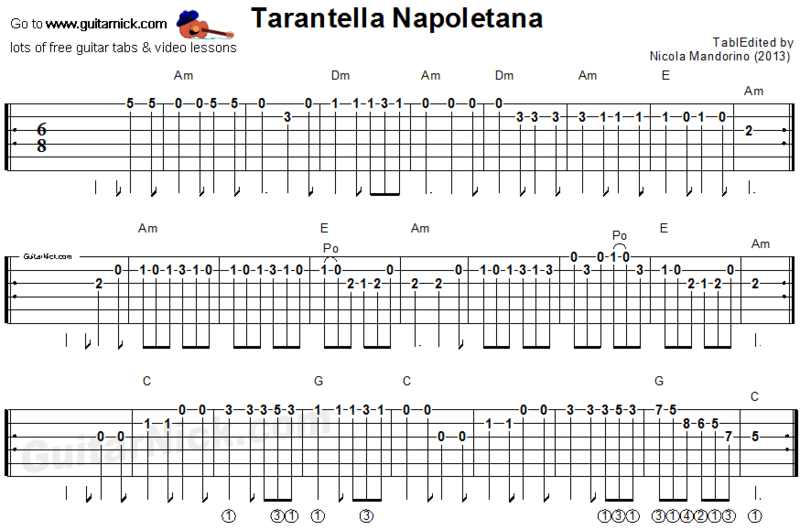 In tablature you will find three main parts of the tarantella that you can play as you like. In this guitar lesson learn how to play the piece easily with this accurate tablature for guitar, chords, sheet music and my video tutorial.